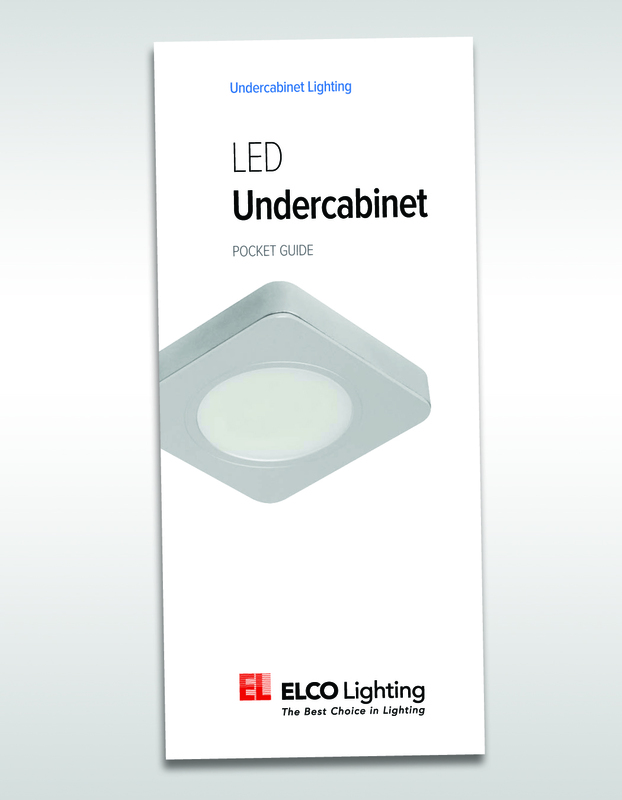 Elco Lighting, a national leader in lighting technology, is pleased to announce our newest publication, the Elco Lighting LED Undercabinet Pocket Guide. In the continuous effort to keep its sales force, customer base and the lighting industry, in general, informed, Elco has created the new LED Undercabinet Pocket Guide. It features 12 full pages in a convenient pocket-size format that is perfect for contractors, distributors, showroom and specifiers. The guide features photos and information about Elco’s eight LED undercabinet product collections and accessories including: AsterTM Ultra Slim LED Puck Lights, CloverTM LED Puck Light Kits, XyrisTM LED Puck Lights, LotusTM Undercabinet LED Bar, FlaxTM LED Adjustable Undercabinet Strip, TansyTM LED Undercabinet Strip, ZinniaTMLED Undercabinet Barand AzaleaTM Slim Line LED.It is easy to read, convenient to carry and a perfect reference guide to Elco’s large and varied LED undercabinet product assortment. The product lines cover every LED undercabinet category from the slimmest puck lights to 4’ long LED bar lights. Elco Lighting has been known for over 25 years as a leading supplier of undercabinet lighting products in every lamping category. Now, Elco puts its LED expertise into the most varied and functional LED undercabinet product lines in the industry. Please contact us with any questions or comments or contact your local Elco Manufacturer Representative to learn more about these and other great Elco LED products.